The new quasi-3D motion effect no doubt looks fancy, but this feature is not really useful and it uses a lot of power. If you need to add some more additional lifetime to your battery switch this feature off. Settings → General → Accessibility → Reduce Motion and turn ON the switch. This prevents motion on UI, including parallax. iOS 7 let you use dynamic wallpapers even though animated backgrounds made their way from Android. Visual redesign which comes with iOS 7 leaves the use of the feature optional. This feature is such an eye candy but if you don’t need it turn it off. This multi-functioning feature allows apps to refresh content in the background. Disabling this feature won't make a difference to most people since it turns apps behavior to how it was in iOS previous versions. Settings → General → Background App Refresh and turn it OFF. Having your apps automatically updated is convenient as far as you don’t have a bunch of them lined up for an update. If you are determined to squeeze some more power for your device switch it off. It will prevent battery drain. Keep in mind that apps running in the background don't help the battery to live longer. You might probably don’t need your apps being active and using up power. Every once in a while remove apps running in the background. It will help to conserve the battery. To end this, let’s recall a few battery saving tricks which should be familiar to anyone who has ever faced battery drain on their iPhone/iPad and tried to resolve the issue. 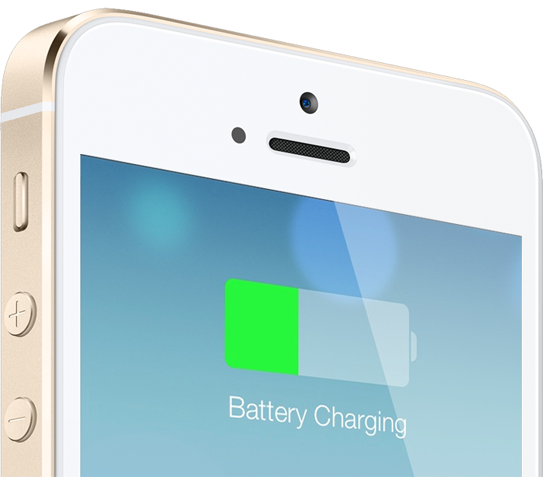 None of these tips are unique to iOS 7 but they can help to prolong the battery life. Most of these are available in Settings. · Disable Wi-fi, Cellular Data, Bluetooth. When not in use switch it off. Settings → Wifi / Settings → Cellular/ Settings → Bluetooth. Switch it off. Settings → Privacy → Location Services. Turn it off. · Switch your device to Airplane mode for a while if you are expecting not to use data or call features. Settings → Airplane Mode. Turn it off. · Disable vibration on your device. Settings → Cellular. Turn off the Enable LTE or 4G button. Turn off notifications for apps you don't care about. There is a chance that some apps, updated Facebook for instance, may lead to a battery drain. The best way is to deal with it so far is to tweak and moderate apps usage. Keeping in mind these suggestions allows you to increase battery lifespan for your iOS 7 iPhone/iPad and make periods of time between battery charging longer. This review was made by Aleksandra Seremina, contributor to Azoft iPhone http://www.azoft.com/iphone-application-development.htm software development blog where she mostly writes about development tips and trikcs and industry news.